It’s been a big year for Holden Special Vehicles already. Beginning with record vehicle sales in January, the release of Coupe Series 2 and HRT 427 in February, and now, another success story unfolds. 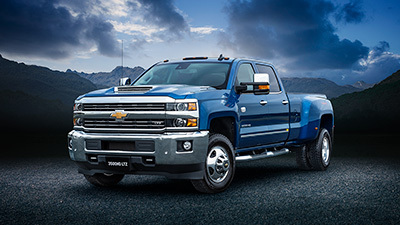 In Australian motoring psyche the traditional car-based cab chassis is looked upon with a reverence far above its station as a pure tradesman’s work vehicle. 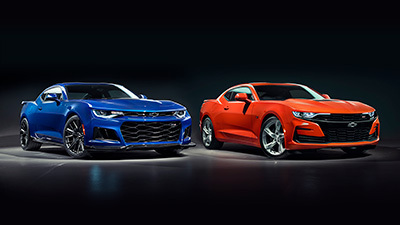 And with its latest show car, to be displayed for the first time at the Melbourne International Motor Show, HSV is set to further enhance that reverence by creating the ultimate interpretation of this great Aussie workhorse – the Maloo Cab Chassis concept. What’s more, in now traditional HSV show car style, this is a vehicle that could well make the transition from show star to street star. It has been specifically built with production requirements in mind so, if the anticipated public response is forthcoming, it’s likely that a limited production run will commence late in 2003. HSV General Manager, Chris Payne, said ”This concept is heartland territory for HSV. 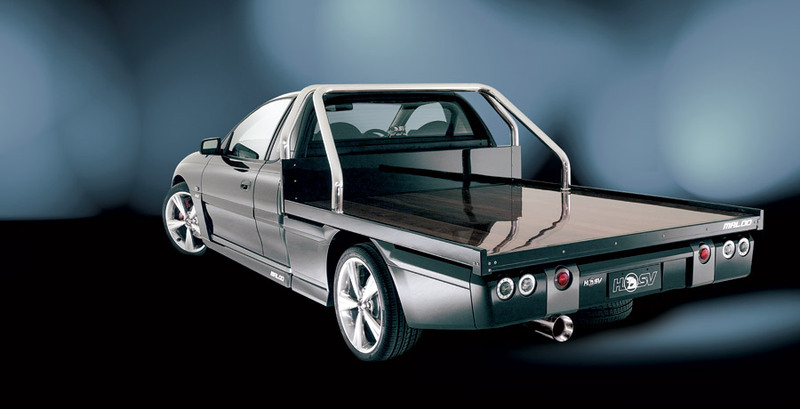 The tradition of a V8 custom tray back is uniquely Australian, and the modern reincarnation of that tradition is the Maloo concept you see here”. Viewed from the front the Maloo Cab Chassis essentially consists of well-known Maloo hardware, including the latest Y Series front styling, 260kW HSV enhanced LS1 V8 under the bonnet and, inside, the distinctive new Y Series dash and interior treatment. However, step around to the rear and it’s clear that this is no ordinary Maloo. Extending from underneath the rear of the cabin is a pair of chassis rails that provide the strong backbone needed for more commercially oriented applications. 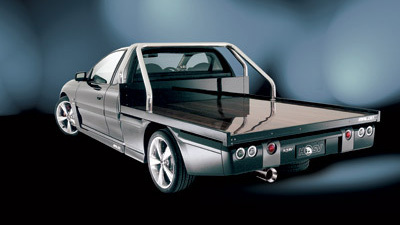 For Maloo Cab Chassis they support a superb polished ‘Jarrah’ hardwood timber tray capped by polished aluminium sports bars, multiple stainless steel tie-down points and an integrated fuel filler. 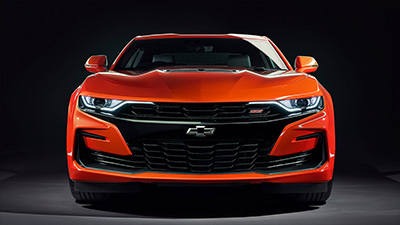 Styling cues are typically dynamic. A smoothly integrated under tray body package combines with custom LED tail lamps and a ‘mega’ exhaust outlet to create the cohesive, sporty overall appearance expected of an HSV. 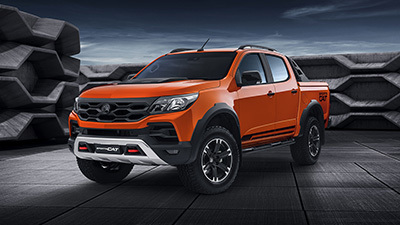 To better suit the workaday capabilities of the Maloo Cab Chassis the rear end features a live axle and leaf spring set up, including an HSV limited slip differential. Not only has it been specially tuned to deliver HSV levels of handling, it also incorporates a ride height self-levelling system similar to that found on luxury HSV models, such as Senator, to further enhance its load carrying abilities. Additional dynamic touches include an HSV four piston Premium brake system with HSV embossed red callipers and hand polished five spoke 19-inch alloy wheels. 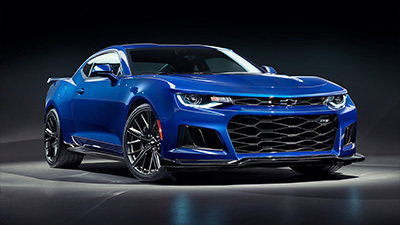 Several technology features also give pointers to future production applications, such as HID (High Intensity Discharge) driving lights and an electronic tyre pressure monitoring system complete with display in the dash-top HSV sports binnacle. The Maloo Cab Chassis concept is another showcase of HSV’s extensive engineering capabilities. It was created totally in-house by HSV design staff and by utilising HSV’s own extensive CAD expertise. HSV’s traditional work and recreation oriented models, the Maloo and Maloo R8, have proved immensely popular (480 were snapped up in 2002), particularly with younger HSV buyers and the Maloo Cab Chassis concept now adds an extra dimension in versatility. Its carrying capacity and robust tray design means that it’s equally at home lugging supplies in a working environment as it is being packed with leisure necessities (it’s easy to imagine a jet ski or a couple of dirt bikes strapped to the tray) for a fun weekend away. Either way the driver will revel in the performance, comfort and ultimate street cred of the most awesome iteration yet of this Aussie favourite. 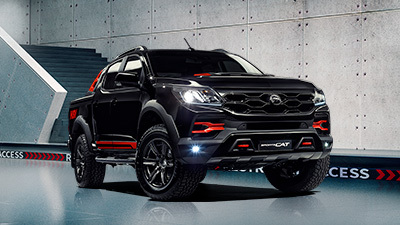 Given previous experience of HSV concepts, tradesmen and other prospective owners had better down tools now to ensure they get their name on the list for what’s set to be the most exclusive cab chassis in the world. While the potential for a production version is yet to be determined, should the Maloo Cab Chassis get the ‘go ahead’ it’s estimated that pricing will be in the vicinity of the equivalent Maloo R8 utility model. HSV advise that interested buyers should direct their expressions of interest to HSV Retailers.